ON THE ETHER: Which Has More Impact? The Chicken or Self-Publishing? WRITING ON THE ETHER: Which Has More Impact? The Chicken or Self-Publishing? As the effluvium gathers today, this is Writing on the Ether No. 100. Thank you for reading this hot air, hosted so faithfully by our great friend and colleague Jane Friedman. UPDATE on Friday, July 26: The Bookseller in London—the work of which figures prominently in this post—has announced that it’s going to begin publishing a monthly ebook ranking with sales figures from all the major publishers in the UK. More publishers are to be added. The distinction here is that these will be publisher-reported figures, not compilations and sortings of existing rankings. The weekly Digital Book World ranking, for example, is a helpful observational calculation drawn from online retailer ratings of book sales and from other best-seller lists. At times, it spots strong ranking contenders among self-published as well as traditionally published ebooks. The methodology for that one is discussed here. The Bookseller ranking, instead, will produce a monthly Top 50 list of ebooks drawn from direct reportage by majors, comprising 51 percent of the total print market in the UK and 81 percent of the total fiction market there. “Majors” means, at the outset, Penguin Random House, Hachette, HarperCollins, Pan Macmillan, Simon & Schuster and Bloomsbury. And notice that, of course, Amazon, the biggest producer and seller of digital books, is not represented, per its policy of holding its numbers proprietary and not making them public (also mentioned later here). The first ranking is to come out in the Friday, August 2 issue and will cover June. And as the summer wears on, two forces are circling each other in the publishing hen house. Our biggest problem? We don’t have a good enough picture of either. The chicken is crossing the road blindfolded. The change is self-publishing, and my friends, it is huge. Barbara O’Neal is not wrong. E-book sales are headed in only one direction: that is up. For the first time I can remember, ever, editors and agents were wooing authors. One notable workshop featured editors from major houses presenting the things publishers could do for authors. Meanwhile, speakers on the self-pub track, assembled single-handedly by self-publishing millionaire Barbara Freethy, packed the room. The ballroom. Amazon, Apple, Kobo, and Barnes and Noble sent their teams to hold meetings, present workshops, and even offer a wine-tasting. Authors were wooed here, too—by merchandisers and editors for the indies. Many [authors] are very frightened. Some haven’t made any money at all—and the reasons are as numerous as in any other field. Some have a bad product. Some have terrible packaging…or a non-existent understanding of web marketing. Other authors are just afraid. Afraid of change. Afraid of looking foolish if they try it and fail. Afraid they won’t be taken as seriously if they self-publish. Afraid to leap. The Writer Unboxed community, as usual, has no fear of leaping into generous, lively discussion of the self-publishing phenomenon with O’Neal. Publishers sooner or later will escalate e-book royalty rates. Believe it. It will happen. It’s already happening around the edges. It’s called competition. And as their royalty rates rise, their bad deal for authors–compared to the true margins of do-it-”yourself”–will start to look not so bad. Publishers have not yet grasped the sea change in the world of authors. Authors in this giddy time have not yet grasped the true cost of going it alone. And as for the trickiest part of the self-publishing debate? We simply don’t know how many authors are trying to self-publish. And so we certainly don’t know how well they’re doing. Our information is frequently anecdotal, guesswork, extrapolation. Throughout the comments that follow O’Neal’s post, you read folks mentioning “the writers I know have told me…” And this is because the self-publishing dynamic is, by definition, non-aligned, neither easily counted nor categorized, impossible for standard survey and research operations to fully track, and as broadly decentralized as traditional publishing once was concentrated in New York. My prediction for the coming year is that we’re going to see more and more big name authors jumping into the [self-publishing] waters—and finding great success. I also predict a lot of new writers are going to go with their creativity and their guts and create new genres and subgenres all over the place. There is talk of sales plateauing at around 30% [in the US], as in the UK they appear to have coalesced at around 25%. Except, I’m not really convinced by this. There is a sense that ebook sales are “booming” and yet there is no data to back this up. A market that has gone from zero to conservatively 706 million ebooks in 5 years in the US is not plateauing. The number of self-published authors will continue to grow; in general their ebooks are cheaper; we will see more rapid growth in unit sales here. But most importantly, the analysis, based on print book bestsellers, is already weighted against ebooks. The top-selling print books may not also be the top-selling ebooks. Romance novels are definitely at the forefront of the digital revolution. Erotica has long been read in ebook format, and now contemporary and new adult romances are rocking the digital lists. Other genres are doing quite well, however. Science fiction is growing, and mysteries are very strong. Sooner or later, there are bound to be cross-overs in literary and non-fiction. Almost all of the data we have about the ebook market is rooted in how ebooks are doing when compared to print books. When we talk about ebook growth what we have really been talking about is digital migration. I have now seen some data for the biggest selling standalone ebooks, and a different picture emerges. While we report that the average P to P+E ration [ebook to print+ebook ratio] is around 25% for books featured in the Top 50, for books that are ebook bestsellers, that percentage leaps, almost to 50%. This means for that some types of publishing, and certain styles of books, talk of a deceleration may seem way off. What we have so far failed to measure is ebooks that are ebooks first, be they self-published ebooks, or books that have simply outperformed in digital format. There are many, many, ebooks that are selling in the thousands that have little or no relation to the performance of their print book equivalent, if indeed they have one. They may be Amazon published, or released via an agent’s White Glove list; they may be part of a backlist digital list such as the Bloomsbury Reader, or put out by one of the growing range of front-list digital lists, such as [Little, Brown UK’s] Blackfriars; or they may be self-published. Jones is talking mostly about digital-first and/or digital-only material. Some of it lies unreported and untracked by standard means because many self-publishing authors don’t use ISBNs as identifiers for their ebooks. And it’s huge, of course. Like a parallel estate to the known terrain of major publishing and e-versions of traditional books, the native-digital ebook ranch is bustling along to different patterns of interest and engagement with its readers. One of VQR’s “instapoem” series, this one by Adam Chiles. The service provided us by O’Neal and Jones this week is like good flashlight work on a darkened landscape. 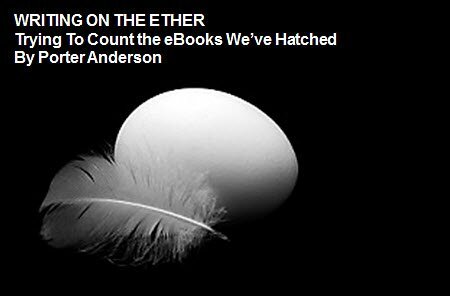 Chicken and egg, ebooks and self-publishing seem to be functioning as mutually enabling forces. Because we have that 2007 date on which Amazon’s Kindle began making ebooks the viable force they are today, we probably can beat the old rap and tell, at least, which came first in terms of current dynamics. Once the first successful e-reader was in place, the efficiency of digital production and the marketplace generated by the Kindle made self-publishing a workable avenue for many writers. This led other players—among them Kobo, iBookstore, Barnes and Noble’s troubled Nook effort, Smashwords, etc.—to begin working in the e-self-publishing space. Today, however, neither self-publishing nor ebook publication is adequately tracked or understood. Guys… French kneading is really starting to make sense in my hands. And my bread is way better for it. 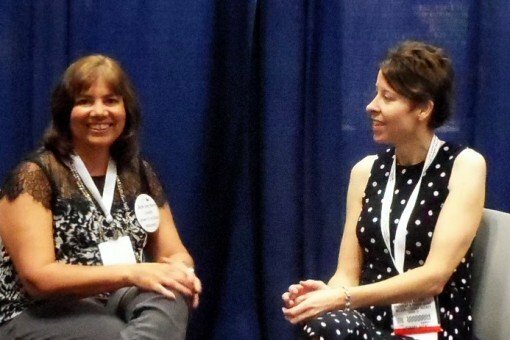 We do know, thanks to O’Neal and others, that traditional publishing elements see reason to court the entrepreneurial author at one of the great US shrines of romance-category diversity, the RWA convention. And we know, thanks to Jones, that we’re not crazy: when the print market contracts but we don’t seem to see ebook numbers taking up the slack, it very well may be because we dont’t have those ebook numbers. And we need them. eBook sales are headed in only one direction: that is up. But this market is also broadening out, and taking on a life of its own. eBooks have a commercial reality that is different from the print market. What we interpret as a slowdown may actually be sales disappearing from sight. What do you think? Do you feel hobbled by the uncertainties of markets and publishing paths about which we can only make educated guesses? Posted in Writing on the Ether and tagged Amazon, ebooks, self-publishing. First, Porter, congrats on 100 posts. Your summaries are always insightful and fun to read. I am amazed at your productivity. Let’s see, you have about 10 e-books in those 100 pages. Right? I have chosen sometimes overlooked middle path: the small publisher, with Kindle e-book. I’m hoping to share insights here with future readers soon. It was definitely the right choice for me, and I’ve got two other case studies to share I hope will help authors consider this option. Thanks, Porter, I do see myself in the entrepreneurial camp but I’m so grateful for my small press partner, Herald Press, who is in the white water with me. I thought the Donald Maass quote about the blind spots on both ends of the spectrum was perfect. More later. Campari for my friend, bartender, and keep them coming! Oh, hell, just give him the bottle. 😉 Congrats! Thanks, Viki, and — before I get into the Campari — I’m working my way back over to your good comment at Publishing Perspectives, too, Lots of irons in fires this week, but good to have you at both Ethers and thanks for the toast, I need it, lol. Bear in mind that some of the players reporting ebook (and print) data have agendas beyond providing accurate numbers. When data are unreliable, conclusions drawn from that data are unreliable. And how did I miss that this was il centesimo? Complimenti, bravo, e auguri per il prossimo! You will notice I didn’t mention Mark Twain. Oops. Regardless, here’s a crisp martini raised to your next one thousand hand-crafted and heady Ethers! Thanks for the toast, Tom, and congrats on the sales — may they become much bigger. Do sales figures for e-books typically include the free e-books and previews?